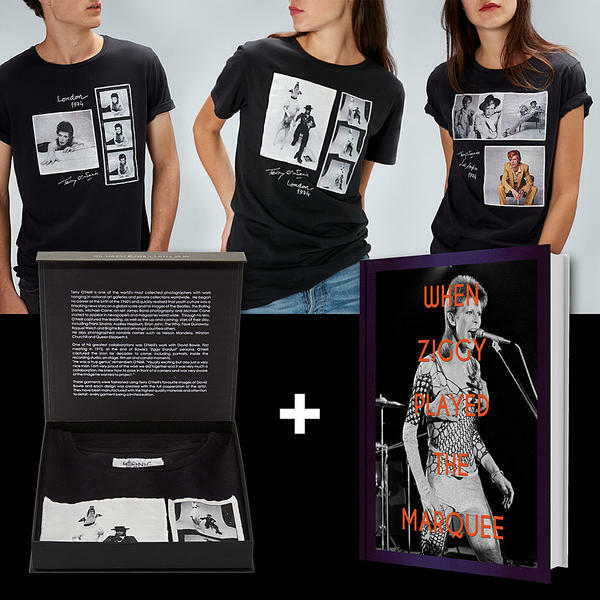 For a limited time only, buy any T-shirt from the David Bowie Collection AND a copy of When Ziggy Played The Marquee SIGNED by Terry O’Neill for only £100.00. That’s a very generous saving of nearly £50.00 with the shipping guaranteed before Christmas. There are only 200 bundles available, offer ends Monday 4th December or whilst stocks last.